I meet Phil and Jack at the continental breakfast this morning and Phil’s twittering about something. He’s gotten Facebook-messaged by the girl that beckoned to us to have a beer at The Bull Run pub 2 days ago. Something about how she wants to hook up with him. Phil investigates and surmises that she is a working girl. Wow. Phil decides the only way she could have gotten his contact information is through the credit card transaction. Jack and I convene this morning to examine our ride plan. The original plan has us riding 15 straight days but we both think a rest day makes sense. 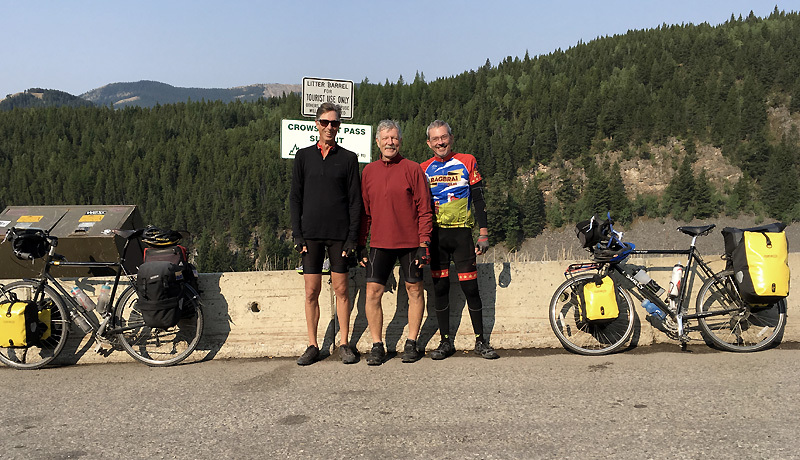 Jack sees an opportunity to increase daily mileage on the back end and thus create a short mileage day into Glacier National Park. Done. 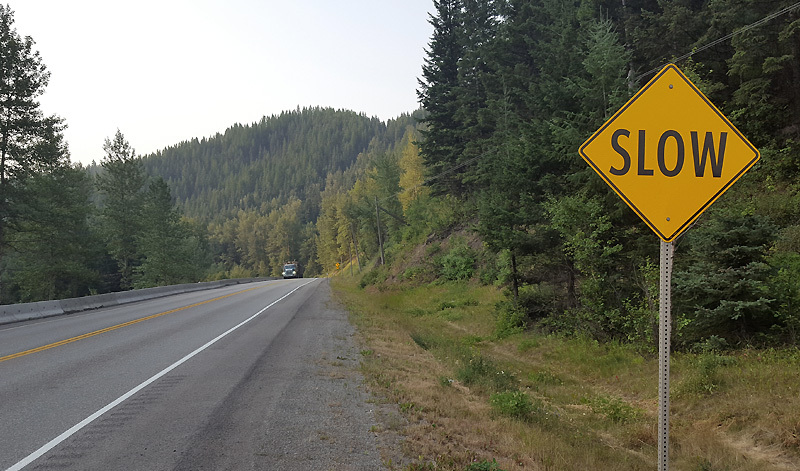 It’s cooler this morning with a stiff breeze – and we start out from Sparwood leaning into a headwind. 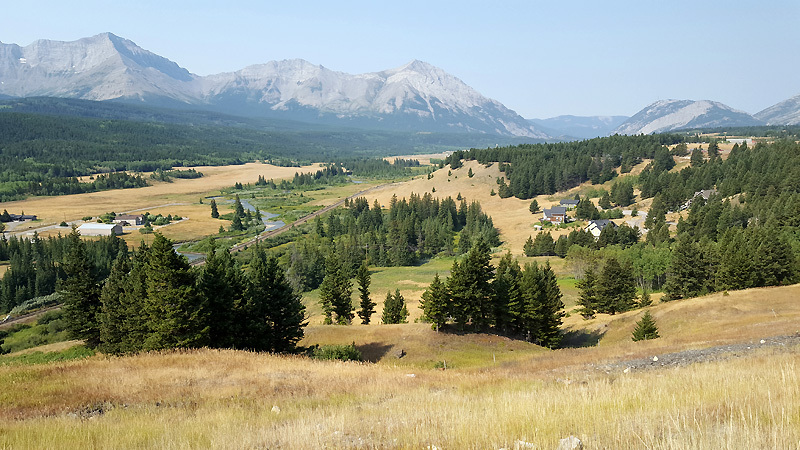 Route 3 blocks us from some of it, however, as we climb into the CrowsNest Pass area, marking a re-entry into Alberta. This area is a municipality of 5 towns with a coal-mining past, and it’s also very beautiful with mountainous peaks and alpine lakes. 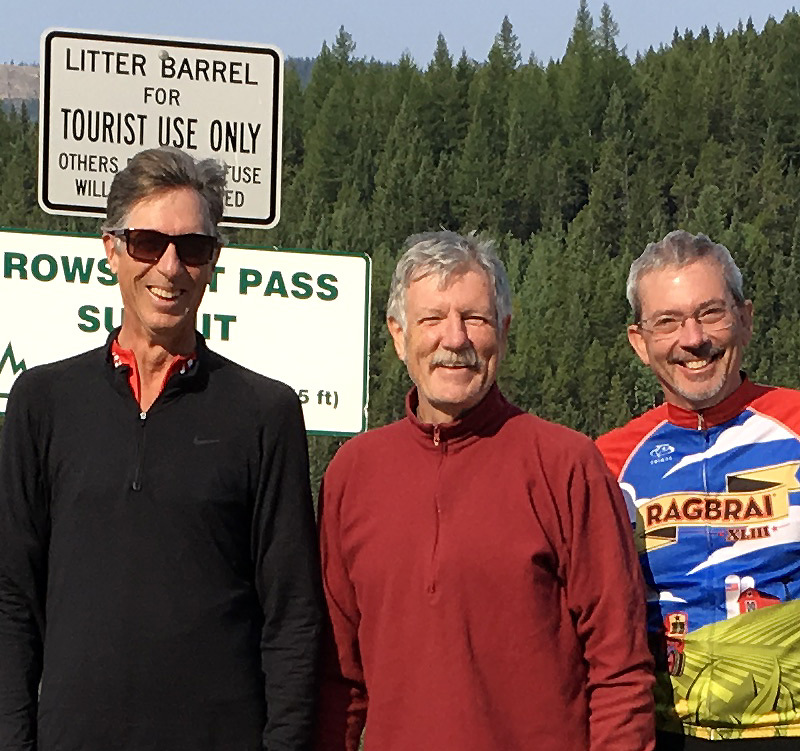 At the 22 mile mark, we stop for lunch in Coleman. Burger with mushrooms, fries, and about 6 Pepsis for me. We chat briefly with a fellow diner dressed in Harley duds. In fact, this whole area seems to be a Harley haven – they’re very common. From the restaurant I call the park rangers at Glacier National Park to ask about camping. They’re quite resistant at first until I get it across that we are not on “bikes,” we are on pedal bikes. 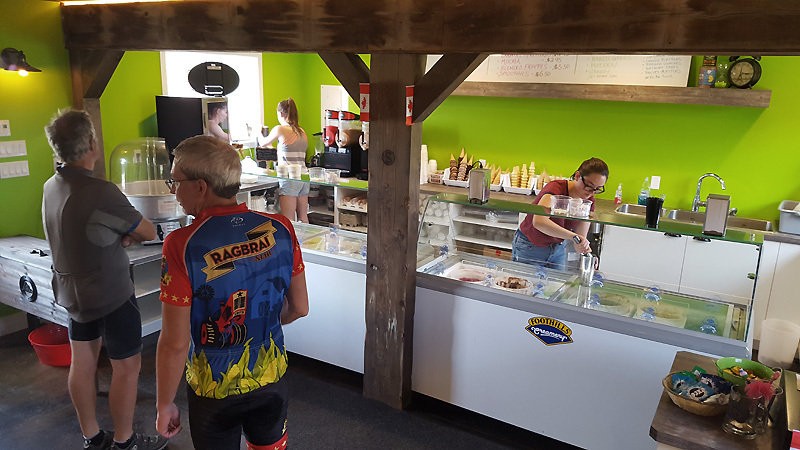 This opens the door immediately – they have hiker/biker sites that almost never fill up. Wonderful! 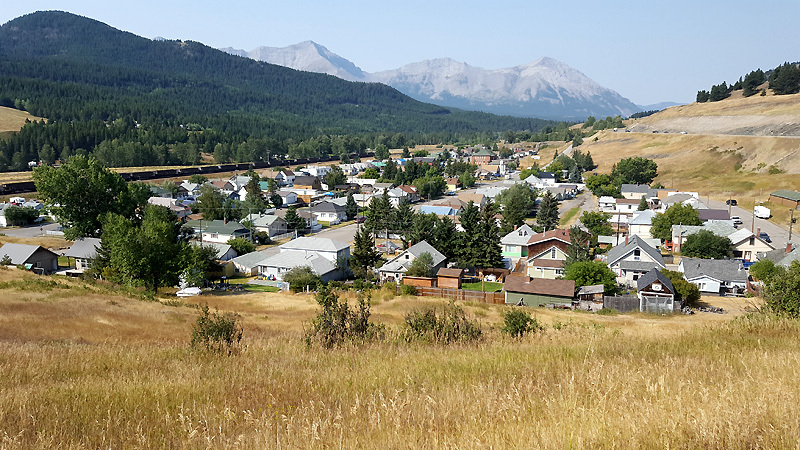 The 5 towns of the Crowsnest area do almost run into each other, and we roll through Blairmore and Frank and Bellevue. 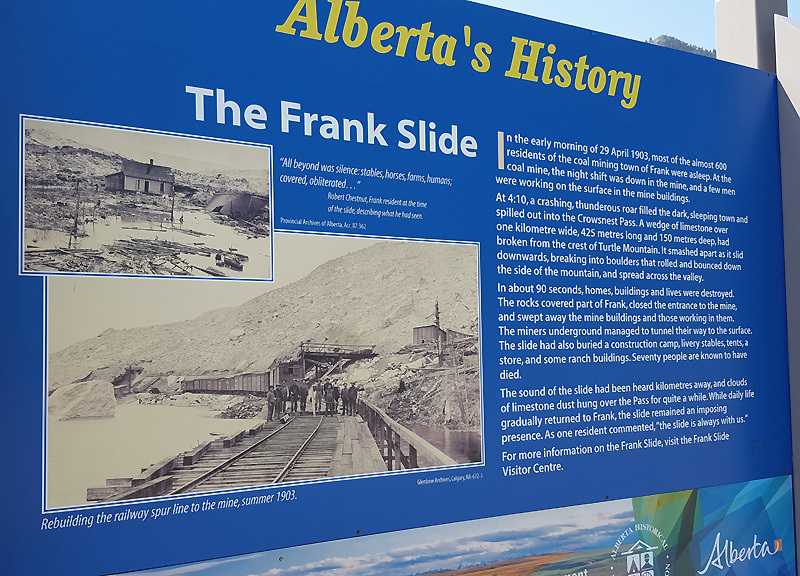 Frank is known for a 1903 tragedy when a huge landslide took out most of the town and its people, a.k.a the Frank Slide. At route 507 we make a right onto Lees Lake Road. It’s hilly. Our ACA maps have an elevation profile that doesn’t seem to fit the road here. Granted, they provide a disclaimer on the accuracy of the profile, but c’mon, this is 2017, an age of all sorts of GPS and Google data. I’m sure the Adventure Cycling Association can do better. No matter. 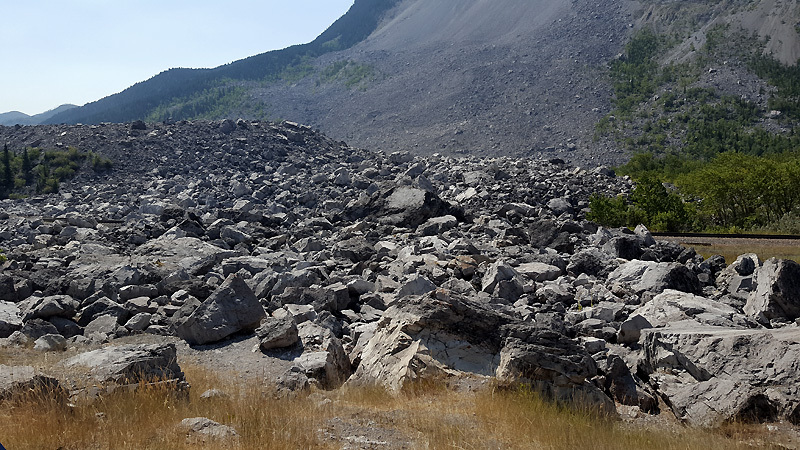 We labor up lots of hills with false tops. You know, you climb the hill to the top only to see yet another hill ahead (with no downhill in between). The headwinds have picked up again – chug-a-chug-chug. It seems like a long 11 miles to Beaver Mines and a turn to the east. The ACA maps suggest we’ll have 20 miles of a bathtub profile from here, but it couldn’t be much more wrong. Instead we get a series of 200-400′ rollers over barren windswept (cross-headwinds of course) farmlands. It’s starkly pretty out here. We creep along at 10 mph, segment by segment. 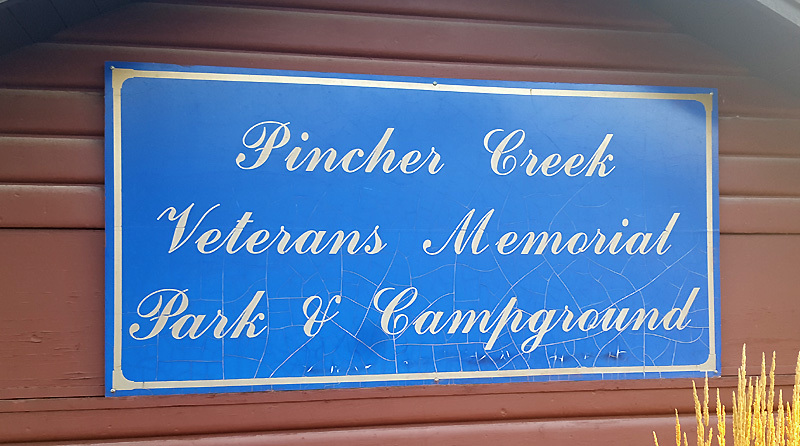 At the regroup at Beauvais Drive, our maps tell us we’ve got 7 miles of gradual uphill to Pincher Creek. The maps are wrong again, but this time in our favor. It’s actually a 7-mile downhill, to our relief. Milkshake. I want a milkshake. We find Tim Horton’s, but they offer no such confection. 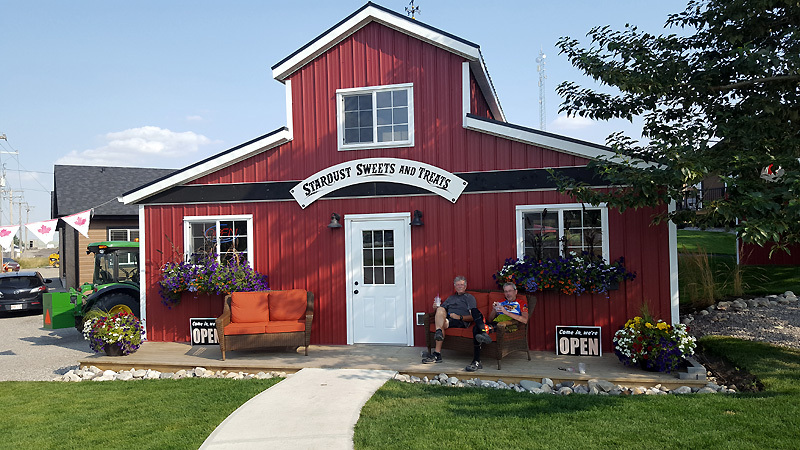 One of their employees, however, directs us to The Stardust Sweets and Treats Shop across town. Yeah! They don’t have vanilla, so instead Jack and I order Caramel Macchiato, while Phil goes for a Mint Chocolate Chip. Divine – what we all needed! In fact, this is the first milkshake of the tour. Subway for takeout, then off to find our camp, the Pincher Creek Veterans Memorial Campground. The managers immediately indicate no vacancy, but then express relief that we’ve got reservations. They lead us back to the tenting grounds, and it turns out we’ve got nearly a football field to ourselves. 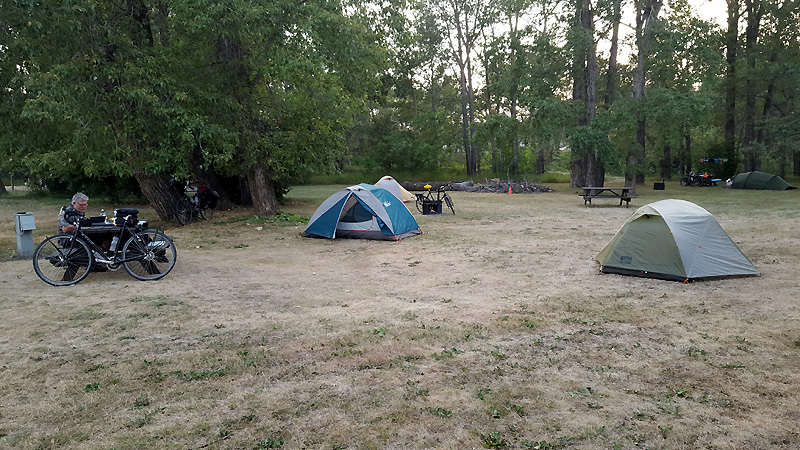 Five weeks ago, I’d called to make reservations and was told that we’d have to pay for 3 separate tent sites. I explained that we’re 3 bicyclists with tiny tents and can easily share one site, but she insisted that we had to pay $20 per tent. 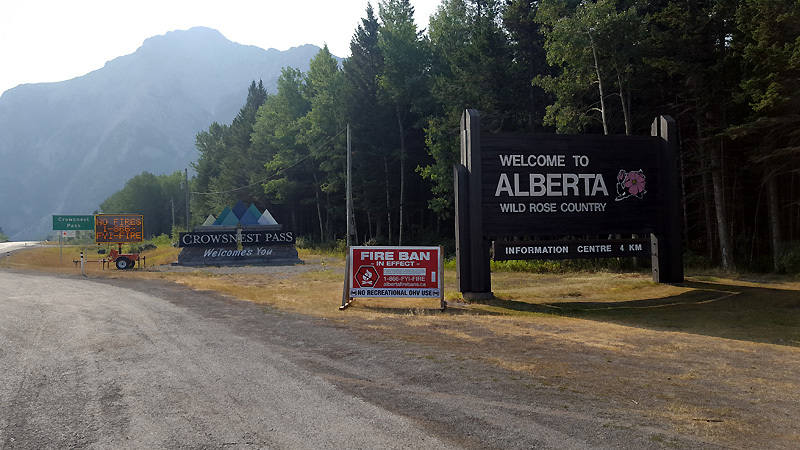 So… no wonder the campground is sold out. To us! Today’s ride seemed to whip Phil, who stays real quiet all evening and ducks into his tent extra early. Jack and I stay up messing around with photos, notes, and maps for a while.